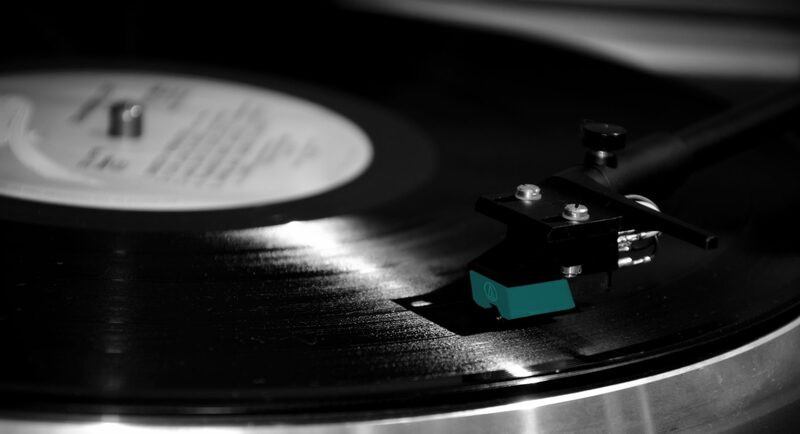 Here’s a post about a not new record by a not new band. I found Vancouver indie four-piece Peach Pit a few weeks ago when I was doing what we all should be doing from time to time – browsing the recent releases on the criminally undervalued Vancouver DIY label Kingfisher Bluez, who have had an amazing output of almost 100 singles and more than 30 albums since 2011. The label is basically a one man show operated by Tim Clapp, who also puts out his own music under the moniker Tim The Mute on it and uses the nice company claim „Where my money goes to die“ for it. Kingfisher Bluez have released local artists as well as some British indiepop royalty, their musical roster is impressively diverse, ranging from abstract, experimental surprises to the sweetest pop moments. 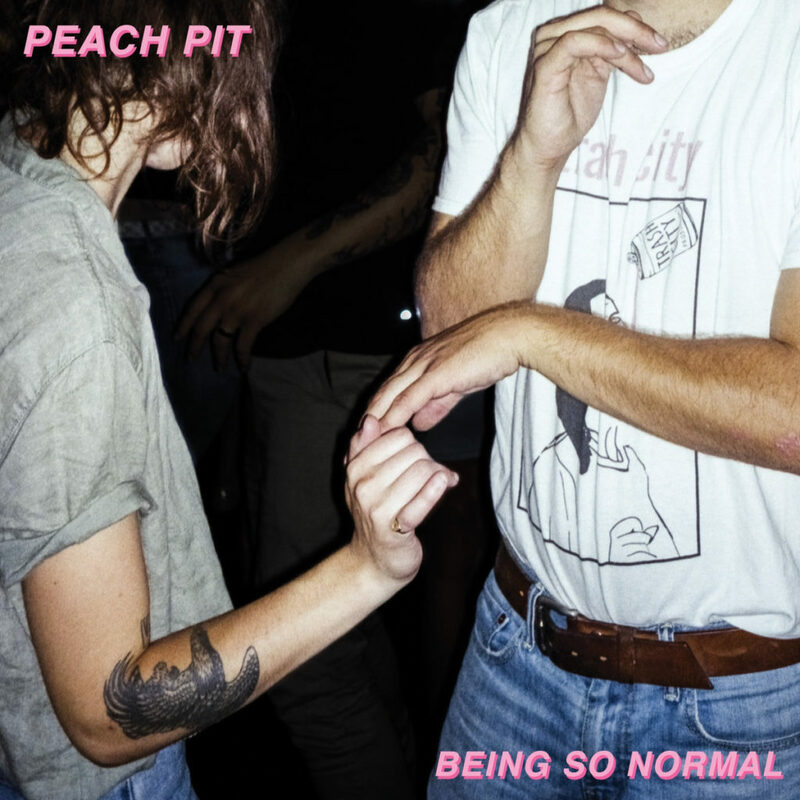 Peach Pit’s Being So Normal was first released on the label in September 2017 and has since had four re-presses, the latest of which is the one I ordered from the label’s bandcamp site. The band had released their debut ep shortly before that and subsequently somehow managed to rise to major YouTube fame (the playcount for the video of their debut single stands at an eye-watering 21 million at the time of writing). In spite of this short recording history, Peach Pit’s first album sounds so accomplished that it feels like listening to a band that have spent decades playing together. The band’s sound is informed by a mixture of influences similar to that which has made bands like Real Estate darlings of the indie scene in recent years: there’s a shiny surface of pop dominated by staggeringly brilliant solo guitar playing, underneath of which you can hear references to the full wealth of the history of popular music – there’s some tropicana and latino elements, lots of blues and classic rock background, softened around the edges by Neil Smith’s relaxed, warm and high voice. In sum, it’s pretty much impossible to think about Peach Pit’s trademark sound without the name Steely Dan at least briefly making an appearance in one’s head. The songs on Being So Normal display a laid back, confident mastership and revolve around the complexities of relationships and the highs and lows of wasting your time with friends at parties. 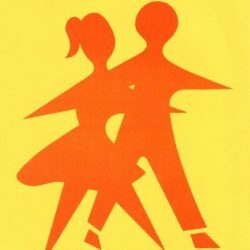 „Techno Show“, a track depicting the uncomfortable feeling of being totally out of place at a music event that just doesn’t fit and getting wasted hence, is the perfect example of what makes this record great: a sweet verse, a driving bridge and an instrumental part in lieu of a chorus, accompanied by a high-pitched solo guitar throughout the whole song, musically pictures that hated techno show in the brightest pop colours imaginable. 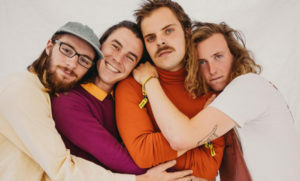 It is followed by the somewhat daftly titled „Alrighty Aphrodite“ that uses a bass line which wouldn’t be out of place in a melodic Hip Hop hit over a complex rhythm of break-filled jazzrock, just to give you an idea of the richness of influences blended together here and shaping Peach Pit’s sound. While the first six songs of the album are admittedly sophisticated, but still pool party material, „Hot Knifer“ cools the record down for its very mellow final third that conjures up the solemn mood of watching the sun rise after the party, alone and with the night’s songs still echoing in your head, later calling some friends to ask how it all ended for them. Let’s hope all those YouTube views have translated into enough units sold for the Peach Pit / Kingfisher Bluez party to continue.